If you come to the Saturday 9 am class the building is locked and you must be at the front doors no later then 8:58 am. In this class we will dive into the essence of yoga, by understanding why we practice. Although yoga is a great physical work out, it is also a science that has been developed over 2,500 years.Through this science we can achieve great physical strength and flexibility, mental clarity, and have emotional releases all of which go far beyond what is practiced in the classroom. We will experience all that yoga has to offer by exploring our bodies and moving beyond the mind which can eventually connect us to the true self. We will learn correct alignment in the most fundamental Asanas (postures) as well as dive into the energetic body exploring the sensations of the breath and chakras. This class is great for both beginners and for those who want to deepen their existing practice. Ana fell in Loe with yoga over 15 years ago. Coming from a systems engineering background, she realized she needed something, not just exercise, but something to quiet her mind. She learned to find balance in her life while moving her body. After losing her in son in 2014, yoga helped her find peace and to learn acceptance. She is convinced that yoga and meditation will help with any obstacles in life as well as finding harmony and calm within. This is what she wants to pass on to her students. She graduated from CorePower Yoga 200 hours teaching training program in 2017 and also is certified in YogaFit Teacher Training program, level 1. She enjoys spreading her passion for yoga to her students. 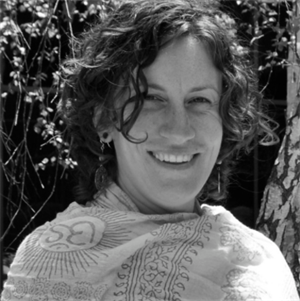 She sees yoga as a gift that came into her life and shares their gift with her students. After traveling outside of the country seeing other alternatives to Healing other then modernized medicine, he became interested in massage therapy and yoga, as more than just an art used for relaxation. Each form of massage is geared towards helping the body and even the mind, function as it was supposed to, if not better. During his studies of massage, he has compiled a knowledge of both Western and Eastern styles, Coupling his abilities with knowledge of general health and wellness he creates customized integrative massages for each Individual. Each of his clients receives specialized attention to points of interest/pain and follow up advice. Solar Yoga is also known as Surya Yoga, this is an advanced yoga concept that teaches practitioners how to get energy and food from the sun’s rays as they gradually become one with the universe. The practice evolved from the Hindu belief that many supreme masters reside in the Himalayas, meditating on the supreme power without taking in any food. These masters are believed to be getting their energy directly from the sun, which is the eternal light of the world. Consequently, practitioners of this form of yoga hold the belief that everything a human being needs can be acquired from sunlight. Yoga With Weights:Vinyasa flow yoga class that connects breath with movement integrating free weights to increase or maintain the strength of your both bones and muscles. Adding small, 2, 3, or 5 pound dumbbells to specific postures and move deeper into each pose – becoming your own, personal adjuster. Weights are provided in class room . This therapeutic-style class comes from the ViniYoga tradition and are safe for anyone to attend. The breath inspires the entire sequence through small vinyasas, fluid movements in and out of poses, pranayama, and some meditations. Each class offers a combination of these activities to hold space for each student to learn more about where their body wants to evolve into a different expression. The classes are carefully sequenced to help the students learn how to transform the neuro-muscular patterns in their body into a more relaxed state. The beauty of these classes is that any yogi can make the class as challenging or restorative as they like, since there are many ways to adapt each pose. Sage McClive began a passionate relationship with yoga many years ago when she was recovering from a severe lumbar and neck strain as a young person fresh out of college. Yoga was the catalyst for her full recovery from those injuries and is still the first remedy used in her life to maintain a radiant lifestyle. 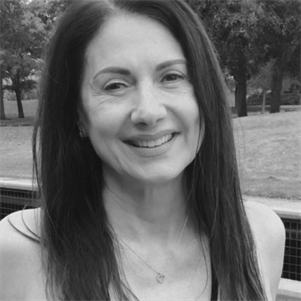 After many years of sampling different styles of yoga and healing modalities, she committed to becoming a teacher of a therapeutic-style yoga as a way to share her knowledge for the vast healing benefits of a yoga practice. She decided to train through the ViniYoga lineage where she could apply her knowledge of holistic healing to her yoga classes. She's a firm believer that anyone can practice yoga safely and effectively - it's all a matter of using the adaptations of poses and maintaining a creative mind as a teacher to offer new adaptations for specific situations. This vigorous Vinyasa Yoga class will focus on holding poses with proper alignment to allow for prana (energy) to flow, muscles to lengthen and strengthen, and the mind to attain a more relaxed or meditative state. After warming up with flowing sun salutations, more challenging asana (postures) will be introduced with precise alignment cues and held for up to 5 breaths. We will work on balancing, core strengthening, and back bending poses. This class is suitable for all levels and will offer modifications based on ability. M.A.S.H "Mindful Agility and Strength Hour"Let's mix things up a bit! M.A.S.H will get you strong, agile and mental focused. Why not do it all and maximize your hour? Be ready to lift, dance, tighten and stretch to your body's potential. Be ready to M.A.S.H it up! 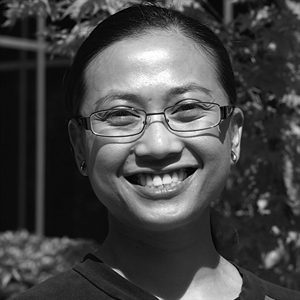 Mary Grace Justiniani is a movement and fitness enthusiast with some incredibly skilled hands for bodywork. She graduated from The National Holistic Institute of Massage Therapy (March 2015) and I has a B.S in Kinesiology from San Francisco State University. She specializes in Swedish, Deep Tissue, Sports, Joint Mobilization, Pre- Natal, Shiatsu, Thai, and Chair massage. As a fitness trainer, she likes to keep her classes fun and challenging with agility drills, demanding body weight and equipment resistance circuits combined with a bit of dance and yoga for postural and movement mindfulness. She strives to provide the best service she can by having an honest and positive collaboration with those she works with so strategies are rewarded with the desired results. This is the perfect class for those looking for a slower-paced Vinyasa practice. Give yourself time to slow down, draw within, and renew your mind and body. During this class, we will go through a series of grounding poses and deep hip openers to help us stay grounded while rejuvenating your entire being. This practice will offer modifications for experienced beginner, intermediate and advanced levels of practice. Guest musician Daphne Tse will serenade us during savasana and the music playlist is provided by Yogi-Tunes. A gentle, slower flowing Vinyasa Yoga class, this is a great way to wind down after a long Monday. We will focus on releasing tension through pranayama (breathwork) as well as hip openers, forward folds, and other poses, ending with a meditative savasana (final resting pose). Come experience how this practice can leave you feeling calm, expansive, and open. This is a class intended to therapeutically build a strong foundation and core for your body to work from. During this class you can expect to find your physical edge and work on asanas/poses that keep you at that edge. Most asanas will be focused on strengthening and stretching the major muscle groups (thighs, back, and abdominals) to help us feel supported at all times by our own bodies. There are modifications for all poses to accommodate most levels, so all are welcome. The structure of the class will be like Sage's other therapeutic classes. This class is suitable for those who feel comfortable practicing Sun Salutations and have prior experience with vinyasa yoga.Meditation and simple chants open and close the class to create a mindful space.Sequences explore Warrior poses, forward bends, balancing poses, twists and backbends.Modifications are offered to allow every body to find centering within each pose.Pranayama work outside of ujayii breath is introduced.Students should be free of major injuries.